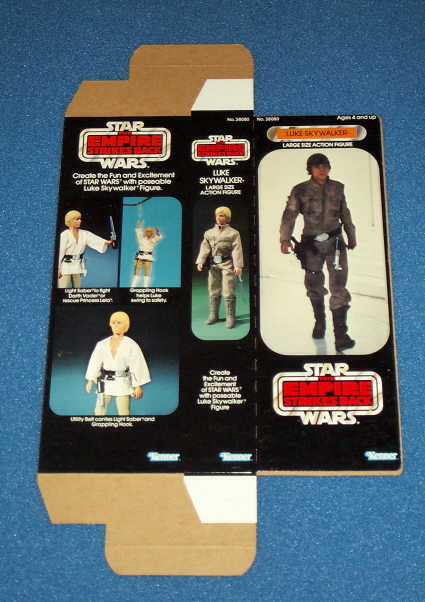 Anther great box for one of the most popular unreleased ESB dolls. Photos of this doll have graced the pages of several books and magazines and are also featured here on the Archive. Action Figure News and Toy Review showed both the doll and box (along with many others) some time ago in one of its periodic Star Wars toy showcases. 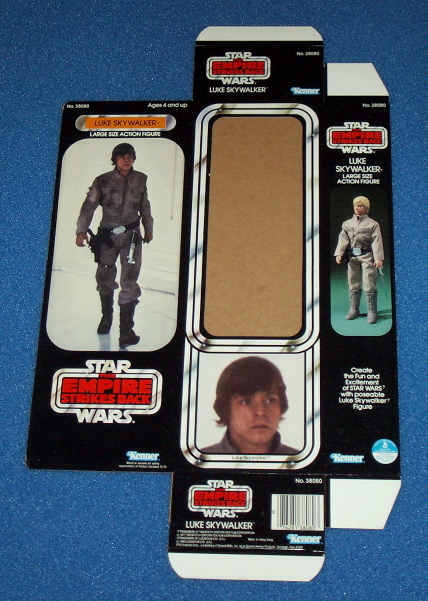 The back of the box shows the released Luke doll in Tatooine outfit.